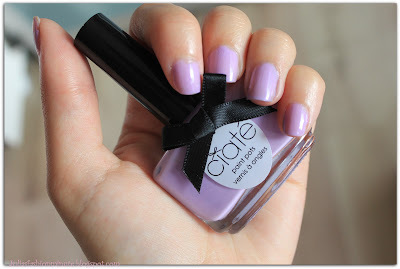 Today I'm showing you the swatches of this gorgeous purple nail polish. 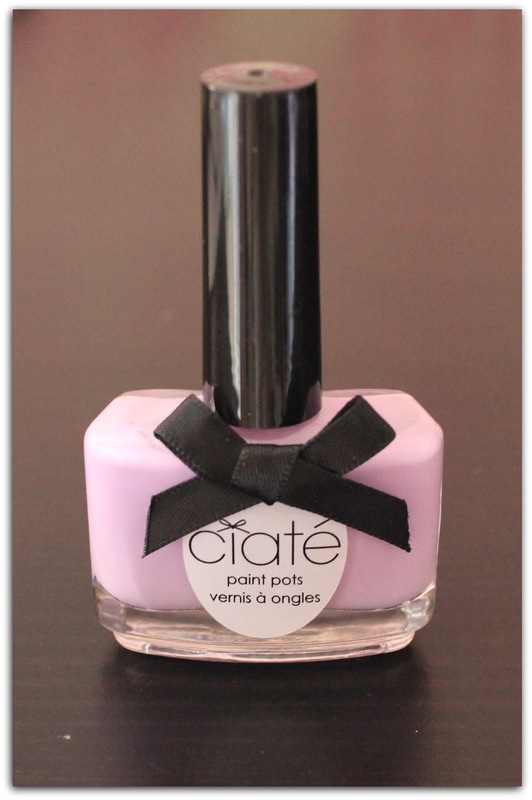 Purple Sherbet by Ciaté. 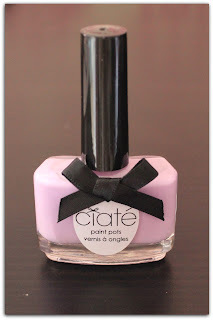 This is my first Ciaté nail polish ever & it came with Marie claire magazine this month. I really love the bottle with bow and all. I have always wanted to try one of these gorgeous nail polishes. I really love the colour on my nails. I almost bought a similiar colour from Essie. Indeed ! Hahahaha I have the same problem with nail polishes but I couldn't leave this one in the store. It was almost for free haha.